You aren't a registered user here. Won't you consider registering with our site? You can unlock more features of the site, leave comments and even elect to receive our "Weekly Shoveling" - a summary of all the coolest stories added each week! It's totally free and takes a few seconds. We don't give out your e-mail or personal information to anybody! Try it! Are American Jobs Ever Going To Come Back? 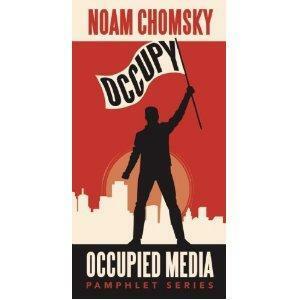 Once again, Noam Chomsky nails it: "Concentration of wealth yields concentration of political power. And concentration of political power gives rise to legislation that increases and accelerates the cycle." He makes a very persuasive argument why the Occupy Wall Street movement needs to succeed or nothing's going to change for the better. Otherwise there is a grim future for a country that has no jobs on the horizon and only profits by constantly manipulating an exploitative social Ponzi scheme on itself. It's been more than seven weeks since BP's offshore oil rig, Deepwater Horizon, exploded in the Gulf of Mexico. Since then, crude oil has been hemorrhaging into ocean waters and wreaking unknown havoc on our ecosystem -- unknown because there is no accurate estimate of how many barrels of oil are contaminating the Gulf. Though BP officially admits to only a few thousand barrels spilled each day, expert estimates peg the damage at 60,000 barrels or over 2.5 million gallons daily. 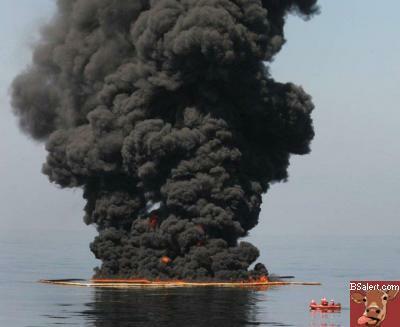 (Perhaps we'd know more if BP hadn't barred independent engineers from inspecting the breach.) Measures to quell the gusher have proved lackluster at best, and unlike the country's last big oil spill -- Exxon-Valdez in 1989 -- the oil is coming from the ground, not a tanker, so we have no idea how much more oil could continue to pollute the Gulf's waters. The Deepwater Horizon disaster reminds us what can happen -- and will continue to happen -- when corporate malfeasance and neglect meet governmental regulatory failure. The corporate media is tracking the disaster with front-page articles and nightly news headlines every day (if it bleeds, or spills, it leads! ), but the under-reported aspects to this nightmarish tale paint the most chilling picture of the actors and actions behind the catastrophe. In no particular order, here are 10 things about the BP spill you may not know and may not want to know -- but you should. 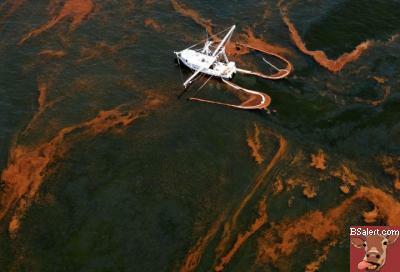 Oil Permeates Louisiana Coast - "Who's In Charge?" A first-hand account of heading along the Louisiana coast and examining the effect of the BP Horizon oil spill. Are you worried about people rummaging through your checked bags on airline flights and lost luggage? Well, there's now an easy solution. It may seem crazy, but TSA rules state that if you declare a weapon in your luggage, additional tracking and safety protocols, including locking your bags go into effect. Here's another story you won't find hitting many of the airwaves. The major car manufacturers have implemented a new standard with respect to the diagnostic data new cars generate. What this means is that more and more small, independent, less-expensive car repair places cannot work on peoples' cars because they can't decode the diagnostic messages. There's a battle now to change this so anyone can repair their own cars, and not just the elite dealers who can understand the codes. A new, beautifully-designed line of bottled water - this time not from the melting Alps, nor from faraway, clean-water-deprived Fiji, but rather from the contaminated ground near the site of the 1984 Bhopal catastrophe - scared Dow Chemical's London management team into hiding today. Just after midnight on December 22, levees broke at the The Kingston coal power plant, and a man-made pond containing toxic ash - essentially the leftovers from the nearby coal-burning power plant - burst its walls, and more than one billion gallons of coal ash spilled into the Tennessee River and its tributaries. The spill is 40 times larger than the Exxon Valdez disaster in Alaska, and one of the greatest environmental disasters in our nation's history. Imagine a river nearby to where you live: healthy, full of aquatic life, essential to community, ecology and economy. 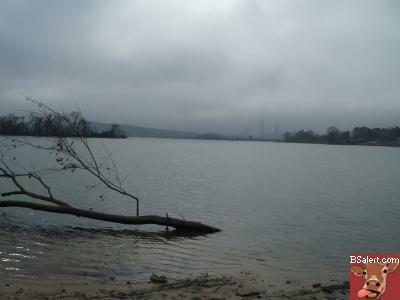 Now imagine that same body of water now filled with a grey-black sludge almost volcanic in proportion and density, full of toxins and poisons. Is Piracy A Cover For Nuclear Waste Dumping Off Africa? Who imagined that in 2009, the world's governments would be declaring a new War on Pirates? As you read this, the British Royal Navy - backed by the ships of more than two dozen nations, from the US to China - is sailing into Somalian waters to take on men we still picture as parrot-on-the-shoulder pantomime villains. They will soon be fighting Somalian ships and even chasing the pirates onto land, into one of the most broken countries on earth. But behind the arrr-me-hearties oddness of this tale, there is an untold scandal. The people our governments are labeling as "one of the great menace of our times" have an extraordinary story to tell -- and some justice on their side. 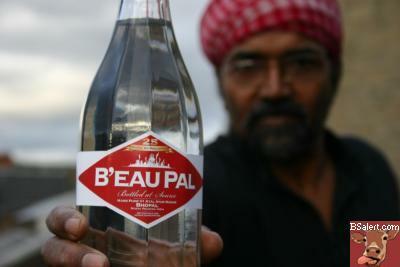 There's a lot of controversy surrounding recent stories about BPA in plastic bottles and its effect on peoples' health. 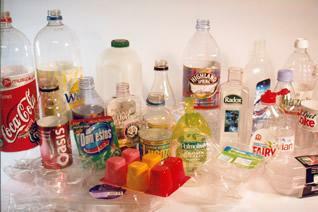 So have you ever paid attention to those numbers on the bottom of plastic bottles? What do they mean? Let's find out. Over the past few weeks countless pets have died after eating food contaminated with the industrial chemical called melamine added to feed by certain Chinese producers to artificially boost protein content. FDA has learned that melamine contamination extends beyond pet food to chicken and pork and perhaps other foods eaten by consumers. Although FDA has assured the public that risks to people are not significant, the agency has not divulged the scientific basis for this assertion. FDA has noted that "Other than a few limited authorizations for use in food contact materials for human food, melamine has no approved use as an ingredient in human or animal food in the United States" (FDA 2007). 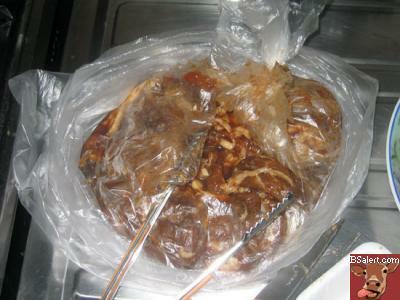 The government has required producers to quarantine and destroy contaminated livestock, but has allowed contaminated food to remain on supermarket shelves. Why add Melamine? It appears to increase the protein content in food, at the expenses of rashes, tumors, ulcers, oh and death too. The U.S. House Committee on Oversight and Government Reform released documents showing "hundreds of instances" where a former and current oil industry lobbyist had edited government reports to downplay the impact of human activities on global warming trends. 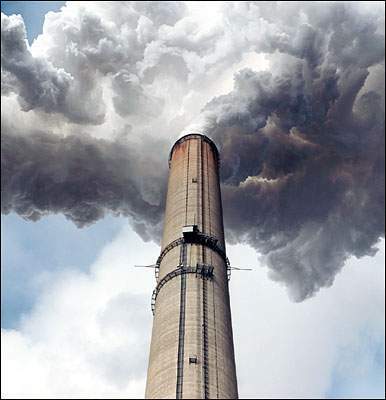 Committee chair Henry Waxman (D-Calif.) said the documents suggested "a systematic White House effort to minimize the significance of climate change." The edits were by Philip A. Cooney, the former chief of staff of the White House Council on Environmental Quality. Cooney, who has no scientific credentials, worked for the American Petroleum Institute prior to the Bush administration position and is now working for Exxon Mobil. Cooney said that his edits were meant to reflect the "most authoritative and current views of the state of scientific knowledge." NASA climate expert Dr. James Hansen warned at the House hearing, "If public affairs offices are left under the control of political appointees, it seems to me that inherently they become offices of propaganda." By invoking Australian copyright law, the New South Wales Minerals Council (NSWMC) twice succeeded in shutting down a website that satirized its "Life: Brought to you by mining" advertising campaign. However, the website of the spoofers, Rising Tide Newcastle, is now hosted overseas. Following protests that the mining industry was attempting to "silence" them, the environmentalists are enjoying more web traffic than their corporate rivals. NSWMC's chief executive, Nikki Williams, said the industry's campaign is about "establishing a fair voice for the mining industry." Associate lecturer in law at the Queensland University of Technology Peter Black argues, "This is clearly a situation that would be covered by the fair dealing defence of parody and satire. This is political speech that is being suppressed by our copyright regulations, which is something that should not happen." "Exxon Mobil has teamed up with Stanford University to find breakthrough technologies that deliver more energy while reducing greenhouse gas emissions," enthuses a TV commercial by the oil giant. Under Exxon Mobil's partnership with Stanford, first announced in 2002, the university "will get up to $100 million from the company over 10 years to fund climate and energy research." After seeing the ads, major Stanford donor Steve Bing "decided to rescind a promised $2.5 million donation to the school." He is also "asking other major philanthropists to reconsider their promises to give to the Stanford cause," and is pushing for "an end to the 4-year-old ad campaign." Bing's advisor on climate issues said, "Exxon Mobil is trying to greenwash itself, and it's using Stanford as its brush." A Stanford spokesperson countered, "We are proud of our work on seeking solutions to serious energy and environmental problems and our collaborations in these areas with a variety of private and non-profit organizations." An earlier Exxon print ad, carrying the Stanford seal, "suggested that scientists were debating the cause of global warming." Do You Prefer Your Meat Gassed With Carbon Monoxide? Hey did you know that fresh-looking meat in your favorite grocery store may not be what it seems? The FDA has bowed to the meat industry and is keeping it secret when older meat is sprayed with chemicals to make it look pink in color! The FDA claims consumers don't look at the color of meat when determining freshness so they don't have to label when your meat has been gassed to look fresh. Where's the beef? Oh it's there. It just might actually be brown underneath that facade of carbon monoxide. Scientists and economists have been offered $10,000 each by a lobby group funded by one of the world's largest oil companies to undermine a major climate change report due to be published today. Letters sent by the American Enterprise Institute (AEI), an ExxonMobil-funded thinktank with close links to the Bush administration, offered the payments for articles that emphasise the shortcomings of a report from the UN's Intergovernmental Panel on Climate Change (IPCC). Plastic: What's In It? Is It Harming Us? We bathe with it, clean with it, play with it and eat off it. Plastic. It's a petroleum engineer's dream and a product manufacturer's best friend. 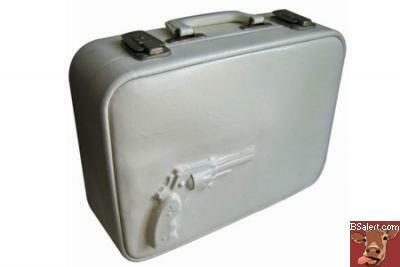 It allows for lighter, tougher and better packaging and provides cheaper options for gifts and merchandise. Yet, the very substance that revolutionized consumer goods may actually be harming us. Best Way To Find Cheap Gasoline? 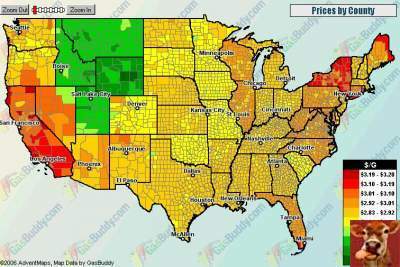 A neat site online called GasBuddy has compiled an interactive U.S. map showing gas prices by county. Unfortunately, the more desireable, more populous places seem to have the highest prices, so unless you're keen on living in Utah, you probably will have a hard time finding a fuel bargain. But the site does break down listings to individual stations by price so it's worth a look. 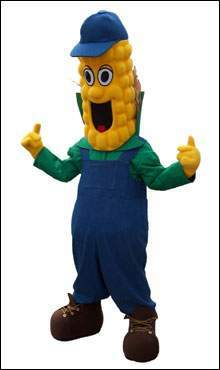 The Canadian Renewable Fuels Association, a not-for-profit group that promotes clean energy, and its mascot "Corn Cob Bob" were kicked out of the Canada Day Celebration by Shell Oil and their goons, after the producers were told by the mega-oil company that they didn't want their presence at the event. President George W. Bush ruled out any accord on climate change at the Group of Eight summit that involves limiting carbon emissions as a threat to the U.S. economy. U.K. Prime Minister Tony Blair, who is hosting leaders of the largest industrial nations in Gleneagles, Scotland July 6-8, is seeking agreements to cut poverty in Africa and curb climate change, which he describes as the single greatest threat facing the world. Blair is asking G-8 partners to recognize the science of climate change and wants a plan to deal with the problem, according to his representative at pre-summit talks in London over the weekend. When he was elected president in 2000, Bush rejected the 1997 Kyoto treaty that sets targets for developed nations to reduce emissions of gases linked to global warming. He said any similar proposal this week would be rejected. Interesting how America, at least according to GW, has an economy that is precariously centered around select polluting industries, and any attempt to curtail the belching of their filth into the atmosphere would put the entire economy in dire straights... or so the Bush administration implies. Now maybe it's just me. Maybe I'm naive and idealistic, but I'd like to think that Americans are resourceful and adaptive. I believe if all the oil disappeared tomorrow, we'd have some alternative in place within months -- we'd get by, and maybe some people would shift jobs, but people would still be employed and industry paradigms would change, but we'd survive. This is the problem though. There's no incentive to develop alternate non-polluting industry when you have a president who is in the oil business and he and his whole administration profit from pollution. And yet the average American doesn't seem to care. This week, executives in the movie/theatre business took a break from resting their heads comfortably up their butts to state that they're concerned over lagging attendence and receipts at theatres, citing one of the worst theatrical slumps in twenty years. Shortly thereafter they beamed with excitement about the new movies on the horizon such as Bewitched and War of the Worlds, then resumed their cranial-buttock encampment. Maybe it's because I'm charged $7 to sit through twenty minutes of stupid commercials before the movie? Perhaps I'm sick of paying $4 for a root beer, and then wishing I was dead halfway into realizing that I paid actual money to see a bad remake of the Dukes of Hazard? Of course, maybe this is all the fault of the internets? 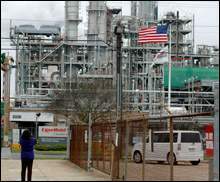 After touring a local neighborhood with some college students, and taking pictures from a public sidewalk of an ExxonMobil refinery in Baton Rouge last month, Willie Fontenot, a community liaison officer for the Louisiana attorney general's office for 27 years, found himself faced with the option of forced retirement or getting the boot from AG Charles Foti. Yesterday the Supreme Court struck down lower court rulings that favored Dow Chemical and President Bush's contention that many companies (especially those that contribute to Republicans) shouldn't be held responsible if their products harm people or destroy things. Imagine you're a peanut farmer and a big chemical company wants you to try their new "EPA approved" pesticide on your crops. You do so and the stuff kills your plants and ruins your crop, and the chemical company ignores their promise to compensate you, and instead tells you to go screw yourself because they're immune to lawsuits because their hellish product was "EPA approved" (based not on EPA tests, but the manufacturer's own submitted data indicating it was safe). Would you try to seek justice? Well, 29 peanut farmers in Texas did just that and for once, the nation's highest court agreed that they have a right to sue the chemical company for doubly-screwing them over. BP Chief Executive John Browne said the company's Texas City, Texas, refinery ``a very safe plant'' on Thursday as the death toll in Wednesday's explosion there climbed to 15. A new report from the National Academy of Sciences raises by 20 times the amount of rocket fuel pollution in drinking water considered “safe,” but environmentalists Monday accused the government of influencing the report’s findings. Pursuant to Section 230 of Title 47 of the United States Code (47 USC § 230), BSAlert is a user-contributed editorial web site and does not endorse any specific content, but merely acts as a "sounding board" for the online community. Any and all quoted material is referenced pursuant to "Fair Use" (17 U.S.C. § 107). Like any information resource, use your own judgement and seek out the facts and research and make informed choices.